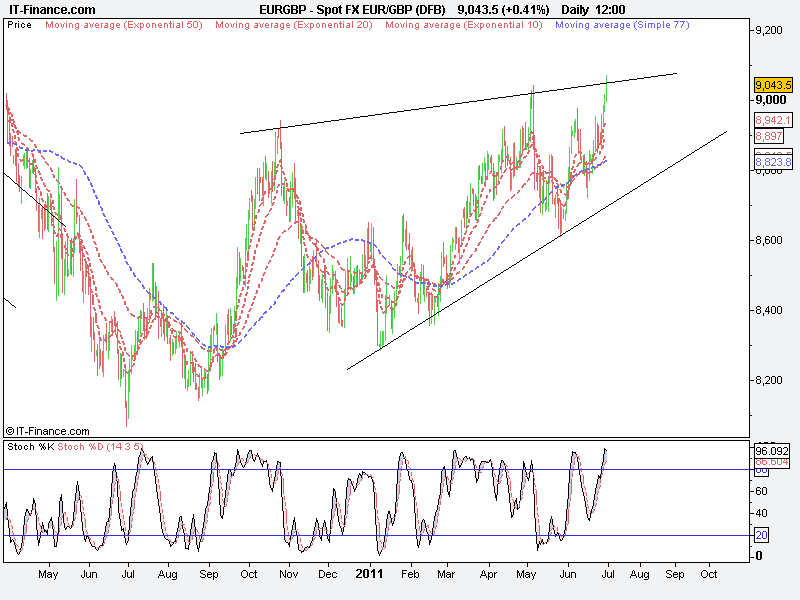 gbpeur reversal in the offing ? Robin Griffiths, Cazenove Capital’s technical strategist, highlighted the gold market and rising importance of emerging markets, as he warned the current economic downturn in Europe and the US could continue for at least another decade. The renowned chartist outlined that long-term economic cycles cannot be affected by human beings. 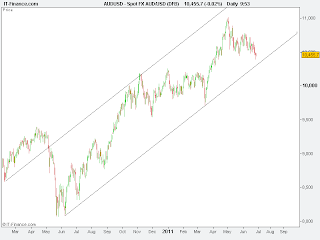 Griffiths said: ‘Anything that is lower now than it was 10 years ago is in a secular downtrend. Against this backdrop, Griffiths stated that the steady decline of the Western world against the East is under way. When General Eisenhower was president, the US economy was roughly 60% of the global economy. The figure is now 24%. Griffiths said, ‘We are going to watch China become the largest economy on earth, probably by the end of this decade. Something like a decade later than that it will be overtaken by India.’ Griffiths also warned that the US would not just drop to third, but would drop below a possible ‘United States of Europe’. I have posted monthly chart showing the bearish Gann cycles(45 and 90 month) that hit recently...here is the current negative setup on the weekly.This market is a sell ! The Daily Crux: Charles, can you give us a little background on yourself for readers who aren't familiar with your work? Charles Nenner: I am a medical doctor from Amsterdam. During my medical school days, I discovered there are patterns throughout nature that indicate events are not random. 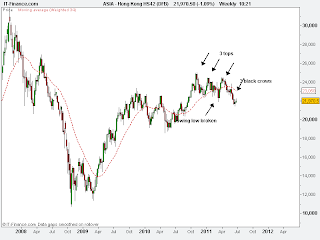 I found that these patterns also worked in the liquid financial markets. I wound up working for Goldman Sachs for 15 years, advising their prop trading, bond desks, and institutional sales desk. 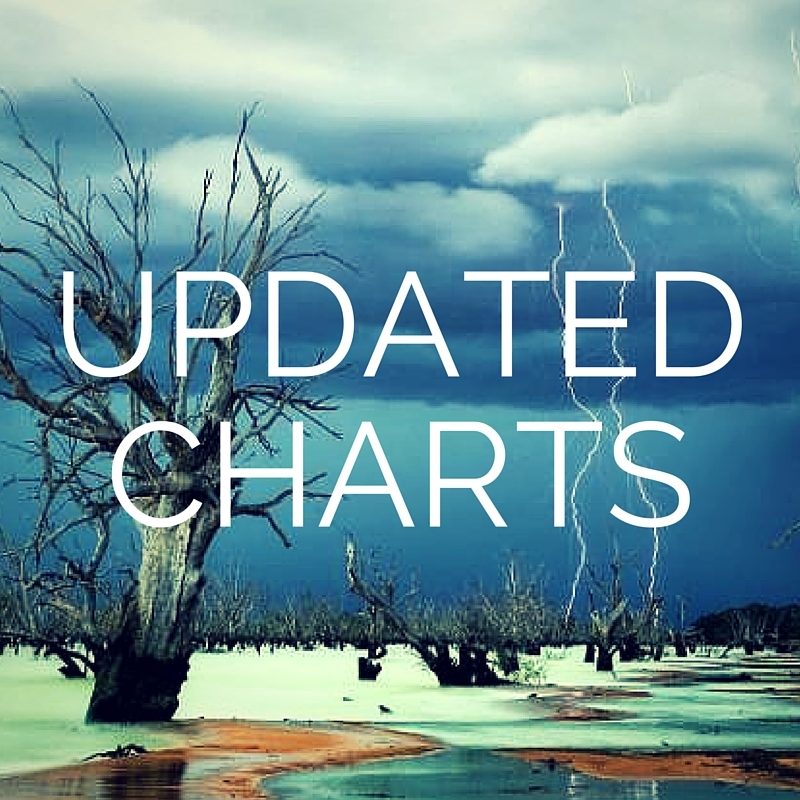 I wrote a morning update covering the major, traded global macro areas – stocks, bonds, commodities, and currencies – which is the basis of what we offer clients all over the world. Crux: Can you quickly review your methodology for us? How do you make your market forecasts? Nenner: We employ several algorithms to do our forecasting. First, we study cycles – which comes from the Greek word for circle – from the data of various asset prices on a daily, weekly, monthly, and sometimes yearly basis. The system computes many cycles. And we work to see where they all line up by time frame... We look at daily cycles separately, weekly cycles separately, etc., via various statistical methods. These cycles are then used to compute two types of targets – time and price – using two different, yet related, systems. 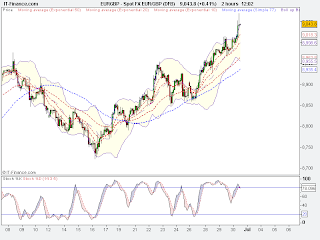 The first system can come up with the timing of the lows and highs in any financial market. This is calculated after the various cycles are lined up. 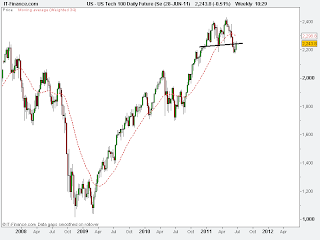 The end result is often the exact timing of tops and bottoms. 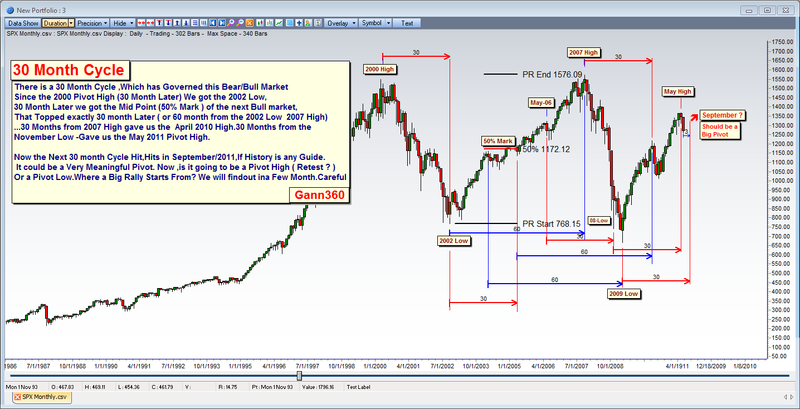 A second system focuses on the price targets of those timing highs and lows. 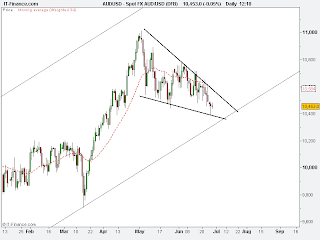 When both time and price line up, we take very serious positions. 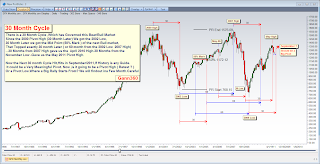 I've also developed what I call an "overall technical model" of over 200 indicators that I use as an overlay to the timing and price target systems. It takes a lot of work, but we try to be precise and scientific. Crux: You've made some big market calls in the past... Can you mention a few of your most notable? Nenner: In 2006, when the Dow was at 10,800, we called for it to go to 14,500. It hit 14,200. In the spring of 2008, we pulled our clients out of the market and called for a crazy year ahead, with several wild swings. We called for Lehman Brothers to fall from 35 to near zero. We've made some nice currency calls recently. We called the 2009 dollar low to the day. We called the high in the euro at 151 – months before the first Greek crisis – as well as the drop to near 118. Some of our commodities calls include buying long-dated calls on gold stocks in October 2009, and exiting them when gold hit around $1,225. We went long again and held until around $1,440 months ago. We caught crude oil both ways... up into the $148 high... And then we called the downside with a $34 target. We gave a natural gas target of $2.40 when natural gas was trading around $7. We've also made some interesting "non-market" calls. We called for the Fed Funds rate to go from 6% to under 1%. You can see that on our website under the first few CNBC appearances. In the difficult fall of 2008, we called for economic strength to pick up beginning in March 2009. Crux: You were in the headlines this spring calling for a top in gold, prior to the big selloff in precious metals last month. What's your forecast for gold now? How about silver? Nenner: We have caught many of the runs up and down, and we're standing aside now. 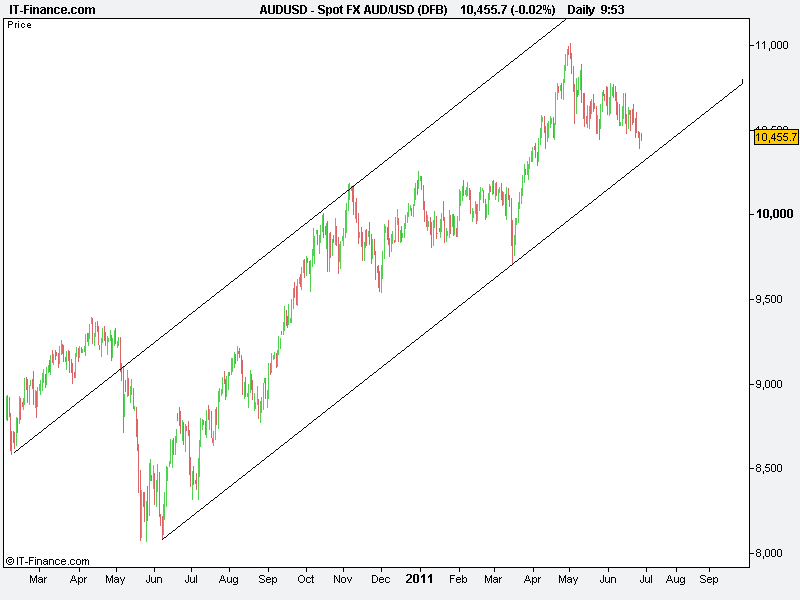 We expect both to rally substantially over the next few years, following more weakness in the short term. 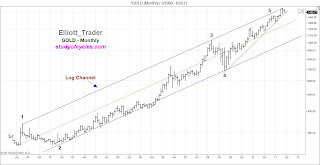 Our research currently shows a target for gold of $2,300 or higher within two to two and a half years. Silver can return to $50 or higher. Crux: What's your big picture view on stocks? 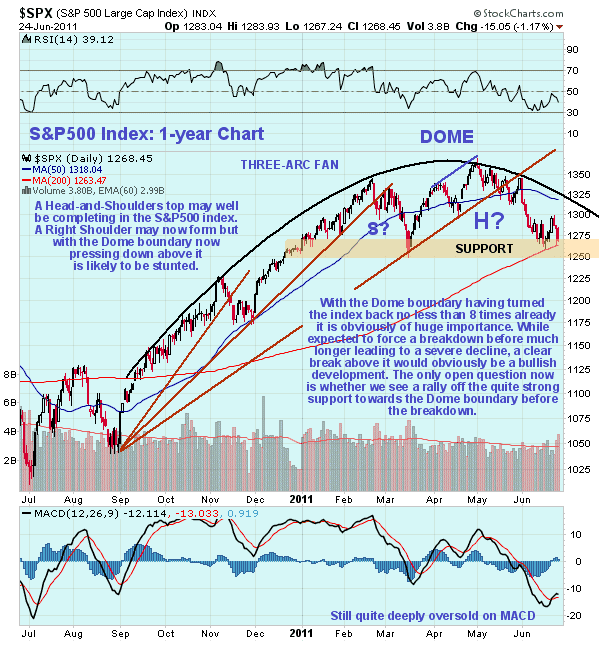 Nenner: We are looking for a turn down in the major indices. We initially thought last summer's decline was the start of this turn. 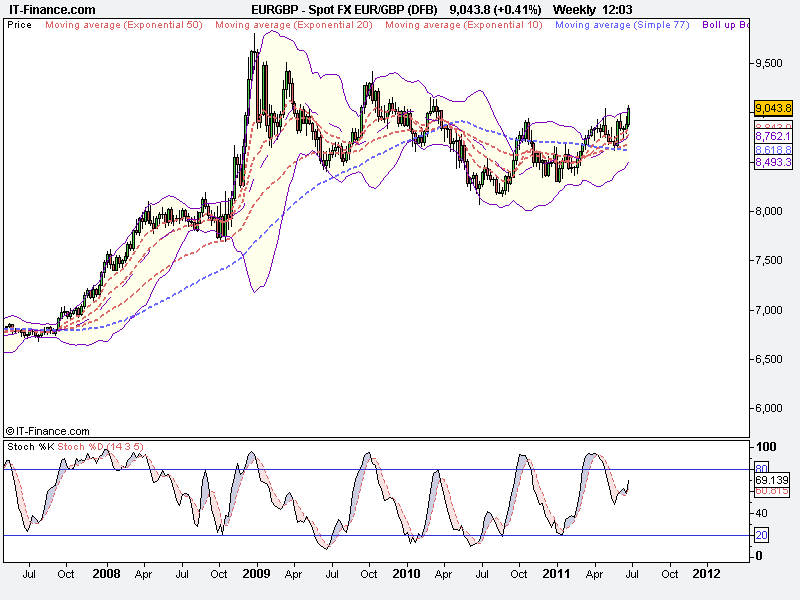 But when the short-term cycles turned up last fall, we received a buy signal and went long stocks again in September. 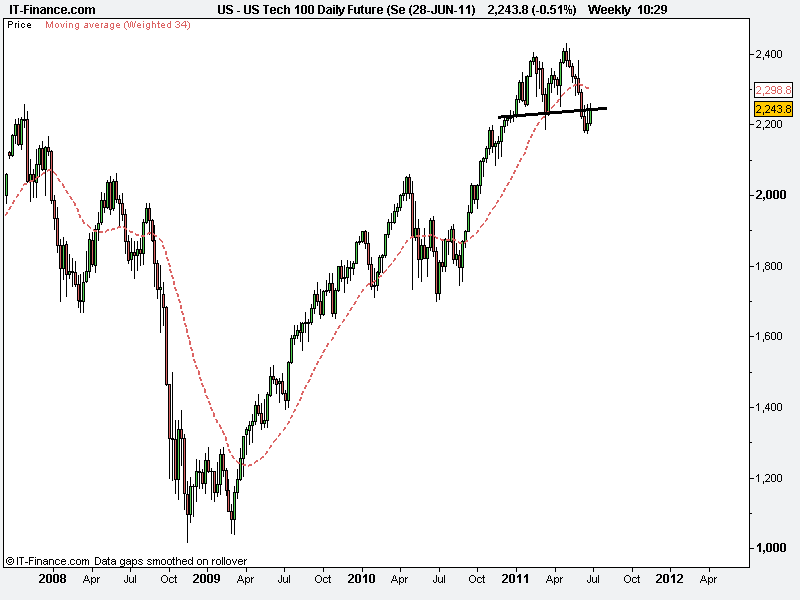 We now see weakness into the second half of the year, followed by a rally before year end. We are looking for a much bigger decline over the next 24- to 30-month period in the major indices. 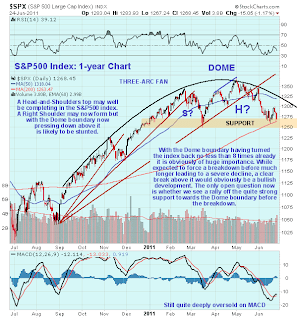 Our cycles show a major downturn going out about 2.5 years. The low we calculate is 5,000 on the Dow Jones Industrial Average... indeed a significant low. This move to 5,000 will be interrupted by small bull and bear markets... But the trend is clearly down. For our clients, of course, we will be watching these moves carefully... as there is certainly money to be made along the way. Crux: Could you share some of your forecasts for other major commodities like oil, natural gas, copper, and agriculture? Nenner: The longer-term picture for commodities is mixed. Many are up, but not all. In March of this year, I was interviewed after oil charged over $100 per barrel. As I said then, I'm not in the camp of $150 to $200 per barrel for oil, as many people thought. Our system does not show significantly higher targets for oil this year. We continue to be negative on crude as shown on the long term cycle we recently sent out to clients. 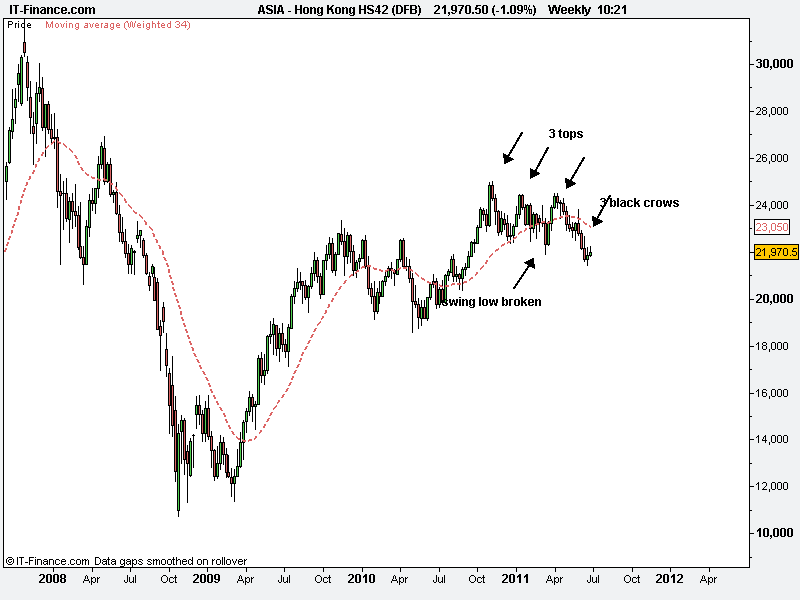 Crude is a commodity we cover three times a week, so we watch it very closely. Natural gas we see rising over the short-term. 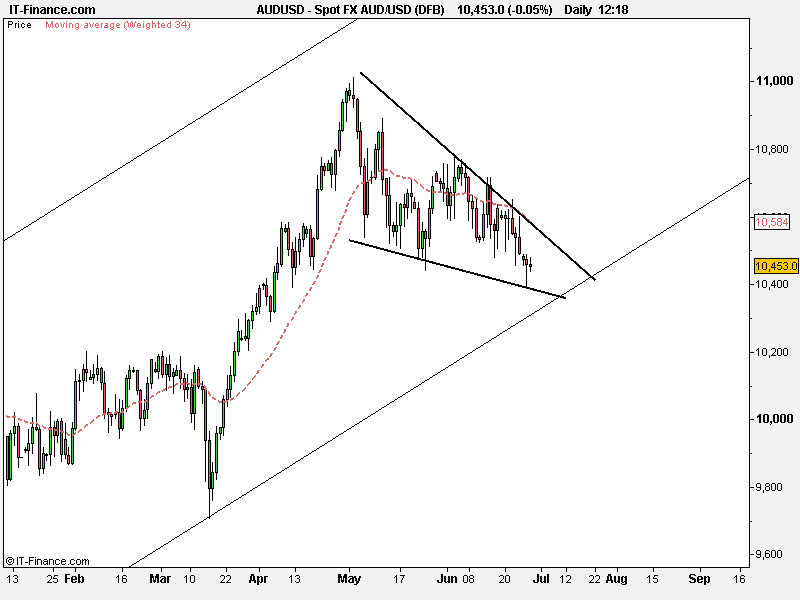 But longer term, we still see a move down to $1.70, which would be a significant low. 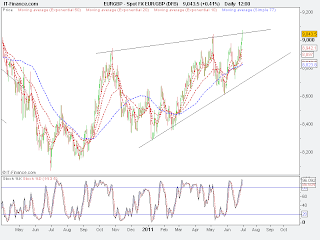 We think copper is at a significant long-term top. 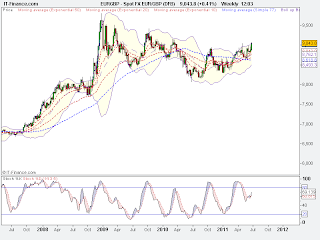 The agricultural grains are set for a multi-year up move in a few months. Our indicators suggest the bull market in grains will last into 2014. Crux: What are your thoughts on the dollar or the euro? How about the euro crisis? 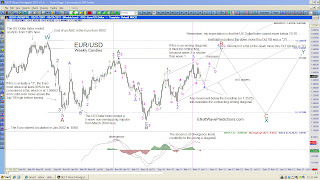 Nenner: We predicted the recent rise for the euro, despite the conventional logic. So we don't view it as a short-term crisis. But over the long-term, I question the continued existence of the euro. 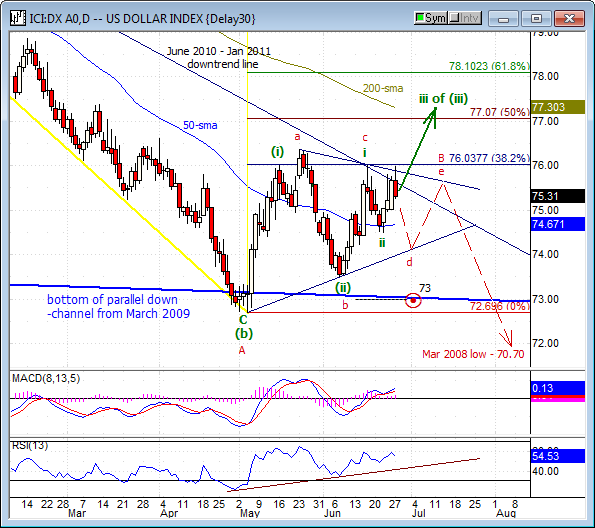 In the dollar, we see a bottom coming, which could hold for several years. Crux: How about U.S. Treasurys? Are interest rates headed higher now? Nenner: We actually see bond futures rallying into the third quarter. We recently caught the bond price rise by selling puts on 30-year Treasurys. And we intend to go long bonds soon until the fall. But over the longer term, we see a major rise in rates and a fall in bond prices until 2040. 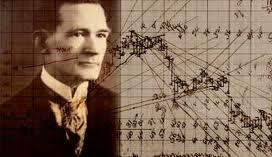 This is based on the 60-year Kondratieff cycle, which shows interest rates bottomed in 2010, topped in 1980, bottomed around 1950, topped around 1920, bottomed around 1890, and topped around 1860. The bottoming of the Kondratieff cycle, which we are still experiencing now, is associated with deflation... And deflation is associated with low interest rates. But over the next 30 years of the cycle, rates will likely climb to a double-digit high like we had in the early 1980s. Crux: So you don't believe inflation is imminent? Nenner: I don't agree think so... Longer term is a different story, but certainly not now. There is still a problem with deflation, since we expect a double dip or even worse in the economy. If you don't look at the headlines, but look at the numbers, you see there are clearly deflationary tendencies. Inflation is not on the radar right now. Crux: I know you're also able to forecast some interesting non-financial numbers, like unemployment... Where do you see it going? Nenner: We predicted the strength in the employment picture when others did not, and now we see it becoming weak for a year. 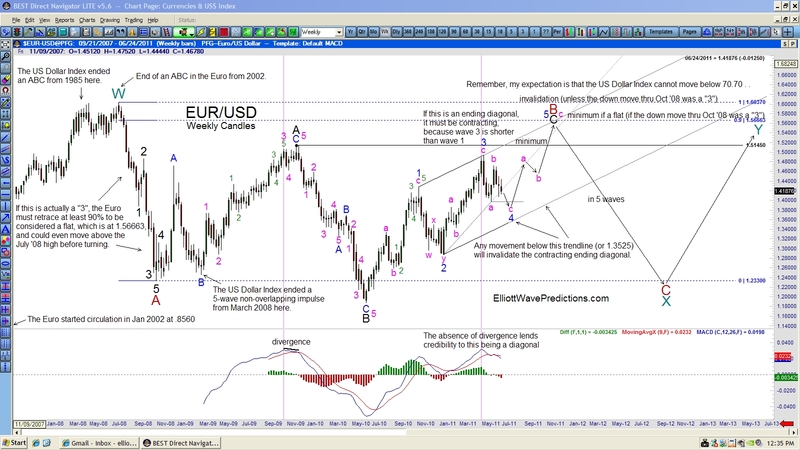 Cycles allow us to predict economic trends, such as leading economic indicators, etc. We look at the Baltic Shipping index as an economic gauge, as well as Alcoa as an aluminum gauge of overall economic strength. In November 2010, we called for about half a year of economic strength ending about now, while everyone else seemed to say the economy had recovered and would continue to improve. We see the opposite... The cycles in industrial production, GDP, and PPI (producer price index) are turning down. Crux: Are there any other important forecasts readers should know about? Nenner: As you know, we also do war and peace cycles. Cycles project the start of a major war around 2013, which is one of the reasons we are looking for the markets to come down. Civilizations move in predictable patterns, in a pendulum from one extreme to the other. One interesting point is children will often vote right wing when their parents are left wing, and vice versa. This also happens in mass movements. Movements of violence alternate with movements of pacifism. When governments cannot find answers for their problems, they often look for outside enemies to unite their people. 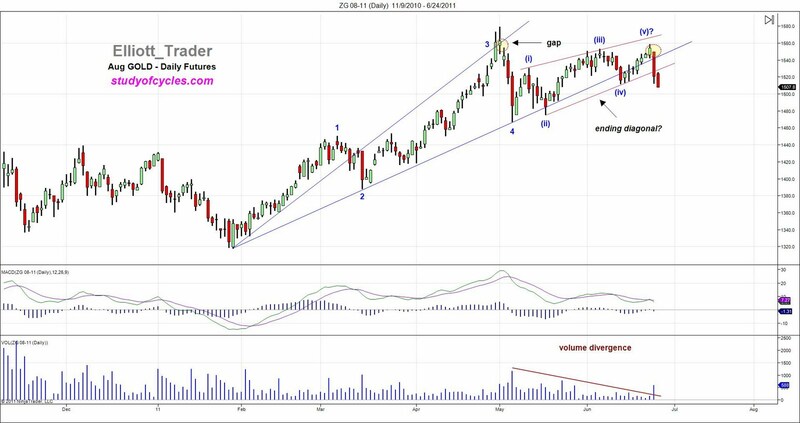 These patterns are predictable by using our cycle analysis. If we study these occurrences in history, we are amazed at how things recur. I don't believe everything happens at random. So we look for the patterns in the cycles of war and peace. Once you identify them, you can predict the next time of conflict. Obviously, the system does not say where or how these will occur. There is an interesting connection between this concept of predicting war and peace and the 60-year Kondratieff cycle I mentioned earlier. Life expectancy is around 70 years old now. So one reason the Kondratieff cycle works as well as it does is that there are few people left who experienced the last crisis. Therefore, we have no one to learn from, and history repeats itself. Crux: Interesting. How can readers learn more about your research? Nenner: We offer a trial for anyone who would like to watch the research in real time. You can go to www.charlesnenner.com and click on the Contact Us button. We'll add your e-mail address to our distribution list for a short trial period. The research includes an update three times a week plus a weekend chart service. Crux: Thanks for talking with us. Nenner: My pleasure. Great talking with you. here is an update of this chart posted shortly before the top.Price and time balancing. AAPL - headed for 290 support ? 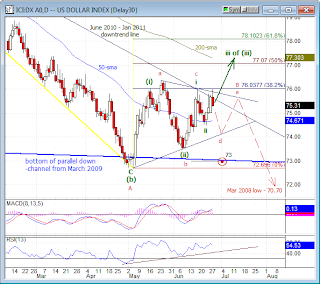 well Monday did turn out to be a low (see last week's post re 4 months cycle).The chart still looks quite risky though and more time may be needed for the overbought condition to unwind if the long-term trend is to reassert itself.I think a move down to 292 (sq of 9 vibration) or 287 fib retrace seems likely.288 is 2 times the square of 144 so that should add support too.289 is the square of 17.
c/t rally ,still below bearish Gann angle ? 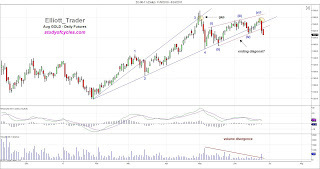 lumber - 3rd low could be the buy signal ? 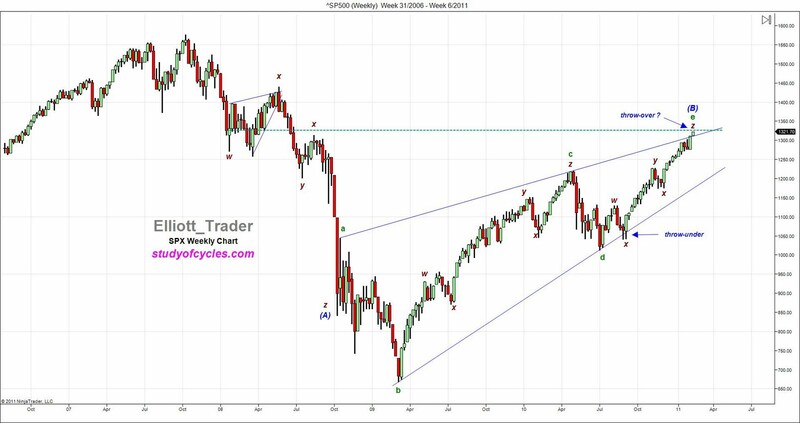 FTSE SWING CHART - LAST CHANCE TO SELL ? 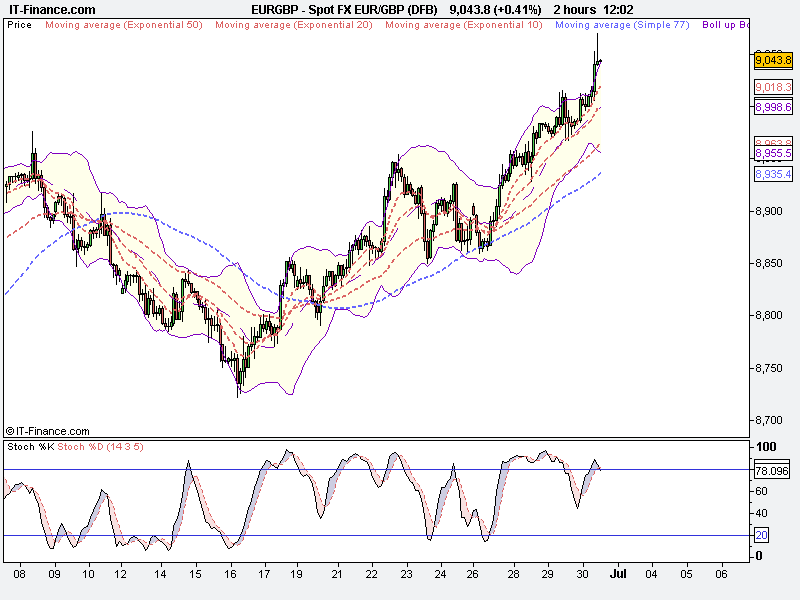 weekly Euro 10 week ma rolling over ?